Three YogaFit teachers explain how YogaFit has changed their lives and, in doing so, helped them bring the gift of yoga to others. Truth be told, Rebecca hated yoga the first time she did it—several years ago. And now? There’s nothing she’d rather be doing. Halfway through her 200-hour RYT, Rebecca credits YogaFit for helping her love, accept, and care for herself in ways she never imagined. Rebecca reveals how those changes took place. After 40 years in the corporate world, Leigh has found her dream job—as a YogaFit instructor. 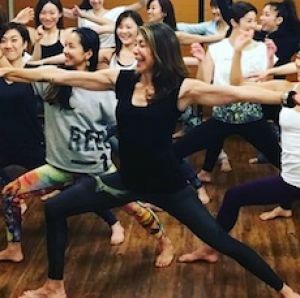 Leigh explains how YogaFit helped her find her niche and gave her the confidence to truly teach—instead of simply lead—her students. Find out more here. Viana’s YogaFit journey was hardly a conventional one, even by YogaFit standards. 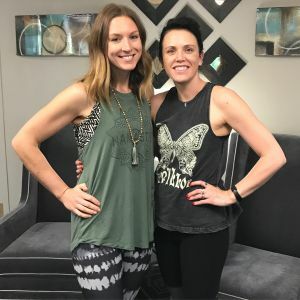 Back in 2003, she says, YogaFit played a huge part in helping her leave a violent, abusive marriage and opened up a whole new life path for her. She went on to study trauma-sensitive yoga elsewhere—mostly because of financial concerns—but came back into the YogaFit community to finally complete her 200-hour RYT in May, 2017. Find out how YogaFit helped her find the patience and the perseverance to realize her dreams.